Touchpoint is a project management tool that brings all the information about your initiative to one place so that you can focus on more important things. Better Alignment: It helps to create alignment, between the district and each school site, so that the organizational change can be successful. 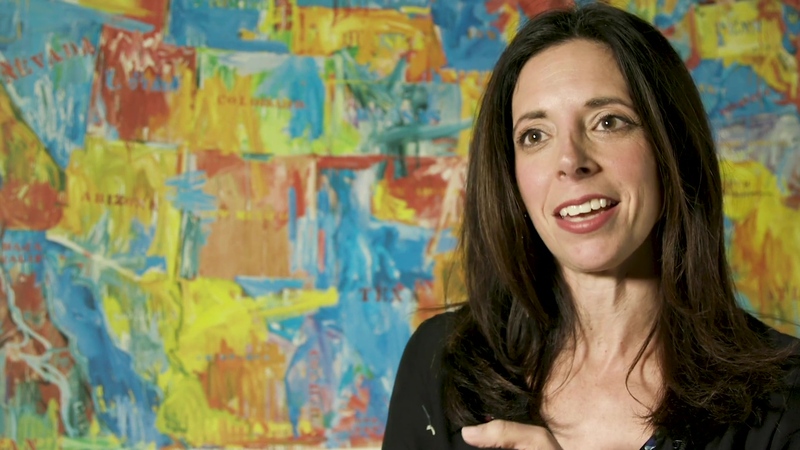 This happens through a shared, visual roadmap and clear actions for each phase of work. More Simplification: No more navigating to multiple sites and pages or losing track of key decisions and documents in email. Everything is easy to find, in one place, through the Touchpoint experience. Customized Experiences: Each component of the Touchpoint experience is customized for the needs of your district and its schools. A member of the Education Elements consulting team will create a custom roadmap, set of prioritized actions and library of relevant resources, based on the needs of your team. Project Progress Tracking: Touchpoint offers district leaders a project management tool with easy-to-read metrics to help identify school teams and individuals with high and low engagement in the project. This helps you be more strategic and thoughtful with how you provide support--ensuring that each school gets what they need. Increased Clarity: At each step of the way, Touchpoint captures key milestones, deliverables, and decisions. This makes it possible to onboard new staff members and quickly get them up to speed. 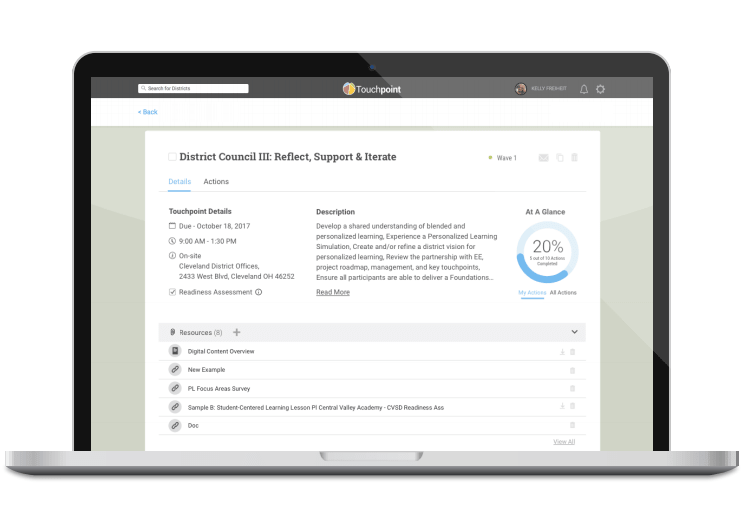 What if managing your district transformation initiatives was literally at your fingertips? 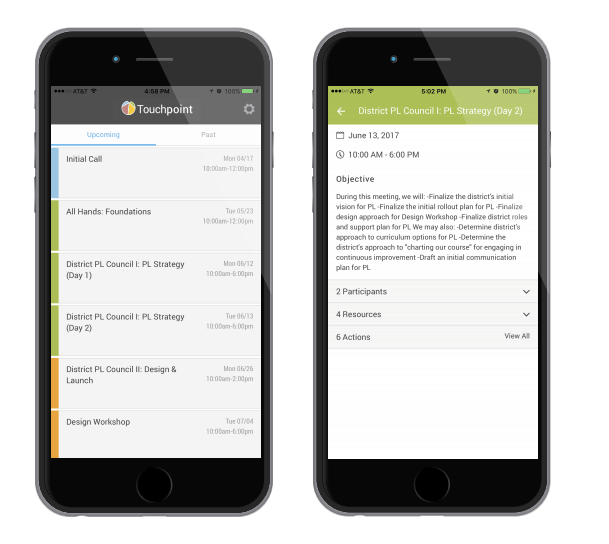 Touchpoint is now mobile which means you can keep an eye on the work at your districts or schools while you are on the go. "It is convenient to have everything in one place, and available to all of us. It is nice that we can see what other schools are doing so we can learn from them. Sometimes the links within links within documents can be very confusing. It makes it difficult to remember where I found specific resources and documents. This makes organization piece difficult sometimes."